You say no to beer and lobster. . . you say no to life. 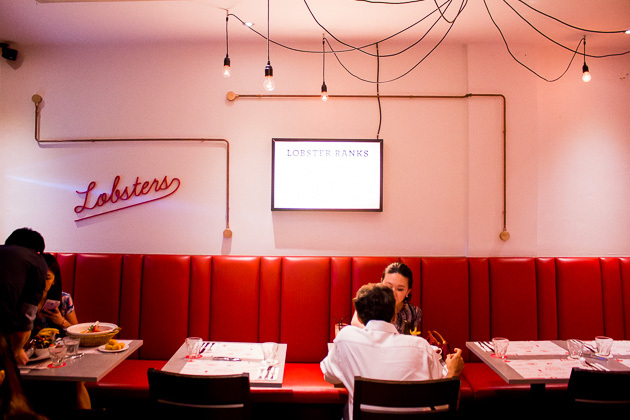 Located on the ever-so-trendy Duxton Road, Pince & Pints offers up a small menu of high quality, classic Maine lobster dishes. Its quality control and impressive drink menu has both locals and expats alike flocking to this happening pincery. 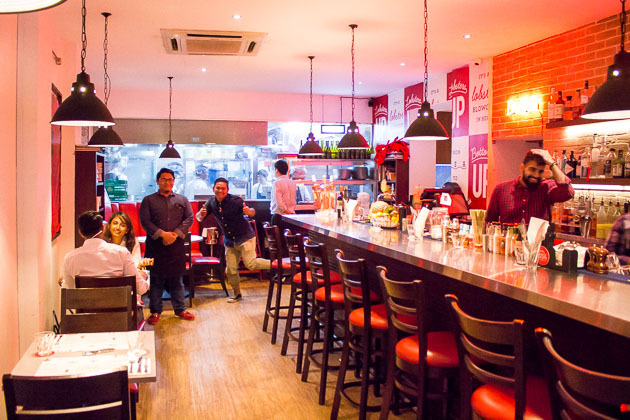 The restaurant has a fashionable-casual feel with minimalist, modern decor and clean red, white and black color palate. With its New York City inspired design, simple menu and friendly staff, Pince & Pints succeeds at providing a high quality meal in an unpretentious environment. 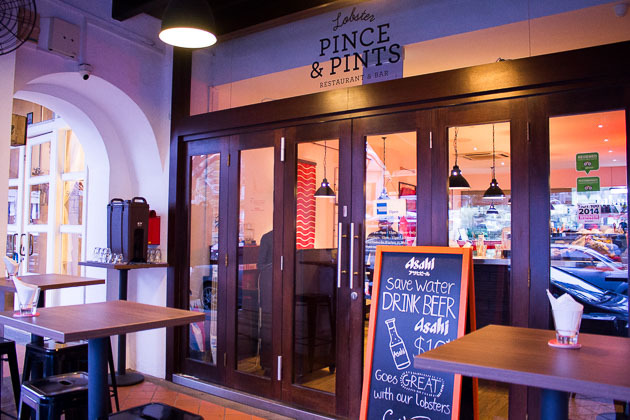 The interior of the Pince & Pints Singapore currently has space to seat 46 patrons. The restaurant has plans in the works to expand into the second level of the building in order to welcome an additional 30 guests (set to open in the coming months). The upstairs space will make room for larger groups and private events – which is at the moment very challenging to accommodate, especially since Pince & Pints does not take reservations. 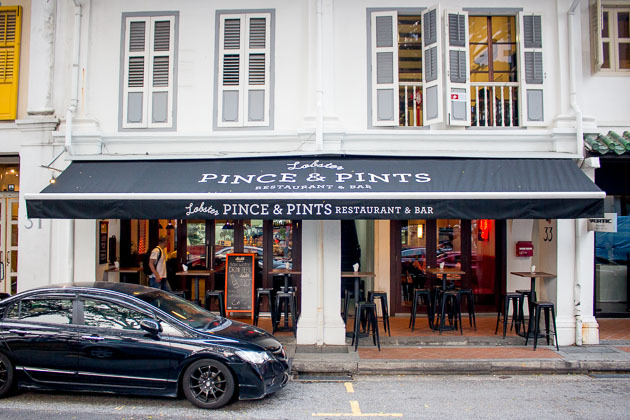 In addition to the main restaurant, Pince & Pints has a handful of hightop tables out on the sidewalk, perfect for enjoying a relaxed beer or cocktail and watching people pass on Duxton Rd. There is also ample seating at the long bar counter inside. 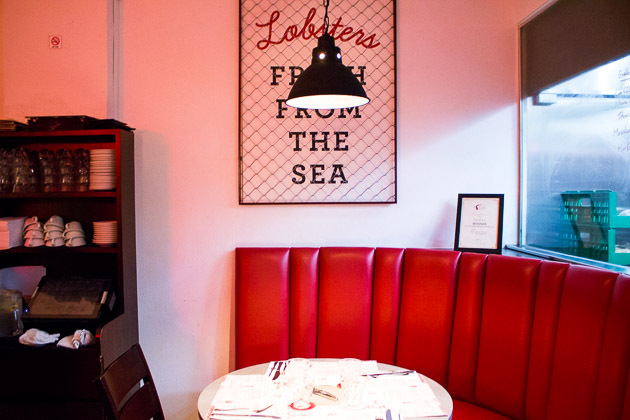 If you would like, you can choose to dine on your lobster while seated at the bar if you fancy a casual meal or in case there is a wait for a table. We kicked off our time at Pince & Pints with the 500 Days of Summer Cocktail ($22.00). 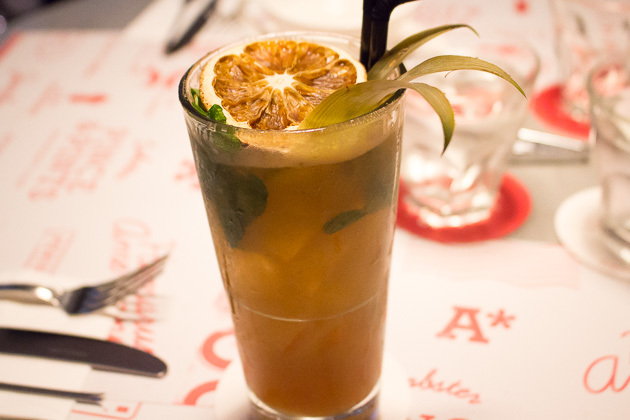 This apéritif cocktail is a seasonal specialty due to the availability of the fresh cantaloupe. The taste was refreshing with a very bold flavor and strong botanical aftertaste. The drinks menu at Pince & Pints is rather impressive with a lengthy list of cocktails, mocktails, craft beers, wine and spirits. All of the cocktails at Pince & Pint are proudly made with fresh, raw juices and no sweeteners (which helps to explain the high prices). 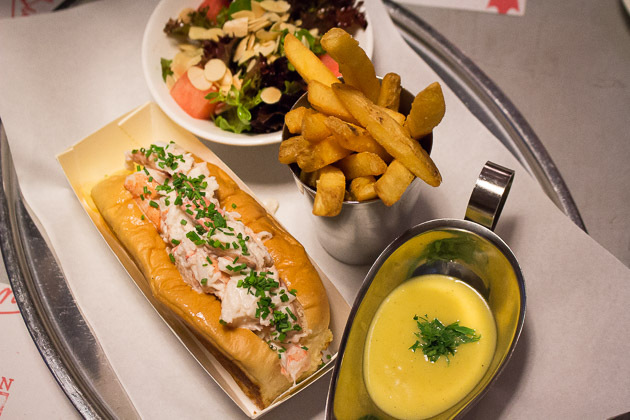 There are only four items on the standard menu at Pince & Pints: the lobster roll, grilled whole lobster, steamed whole lobster and the more contemporary chili lobster dish. Each entree comes with a house side salad, hand cut french fries and a side dipping sauce. The side salad is a mix of mesclun lettuce, shaved almonds, watermelon cubes and a light homemade dressing. Prefect for cleansing you pallet. The fries were warm, golden and crispy. I was very satisfied with the quality and taste of both the fries and salad. 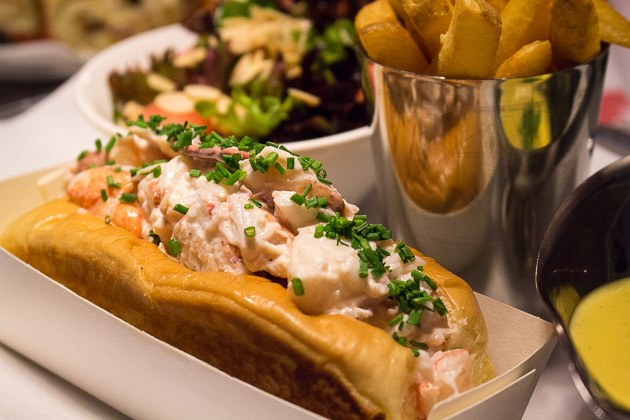 We dug into dinner opening with old faithful – The Classic Lobster Roll ($58.00). The classic variation tosses together generous chunks of steamed lobster with a simple mix of salt, pepper and mayo and topped with a dusting of chives and served cold. The bun, which is specially made fresh from a local bakery, was perfectly sweet, soft and warm – just off the grill with a hint of melted butter. The completed dish is served with a garlic aioli sauce. I personally prefer the fresh and light taste of a lobster roll with solely a lemon wedge wrung out on top. That being said, I enjoyed the garlic aioli together with the fries more so than the lobster. 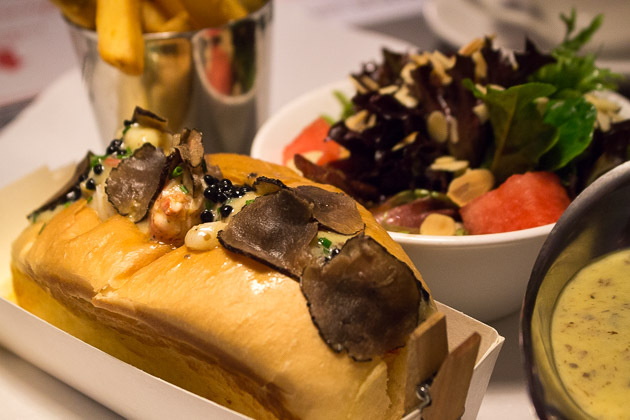 Next up was the rich and opulent Speciality Truffle Lobster Roll ($68.00). If you like truffles, this is your calling. The process begins with blanching the lobster, partially cooking the meat. The next step is to remove the lobster and give it an ice bath. The meat is then removed from the body and claw and sautéd with white truffle oil, truffle paste and butter. Next, the meat is topped with generous amounts of black truffle shavings and dollops of truffle caviar. 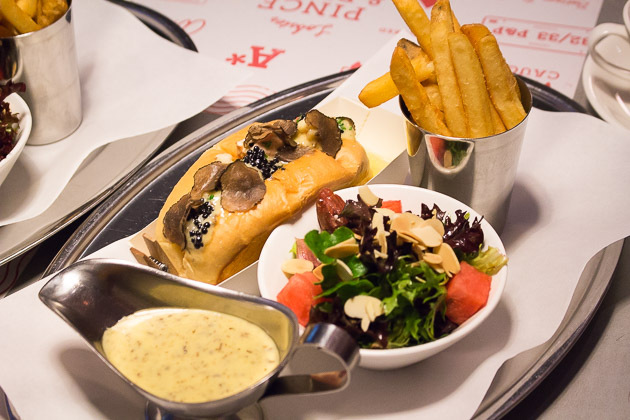 The bun used is also different from the classic lobster roll, with less sweetness to complement the truffles. And just when you think they can’t pack anymore truffle flavor into this dish, you are given a side of house made truffle dipping sauce. Too much of a good thing? This dish is extremely rich and I found it to be a bit jelat. My yearly truffle allocation was realized after just a few bites. I recommend splitting this dish with a friend, or two. 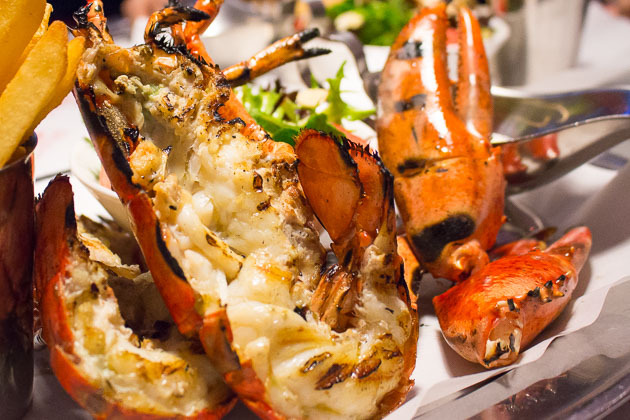 We sampled the grilled variation of the Whole Lobster ($58.00). The imported Maine lobster is first basted with butter before hitting the grill. The taste had a detectable char flavor which I really enjoyed. The accompanied sauce was a simple butter sauce that went well with the straightforward lobster meat. I was a fan of the lobster both ways, but my allegiance lies with the classic lobster roll. The warm buttery bread puts it over the top for me. All the lobsters at Pince & Pints hail from Maine, USA and are flown live to Singapore 2-3 times per week, depending on demand. 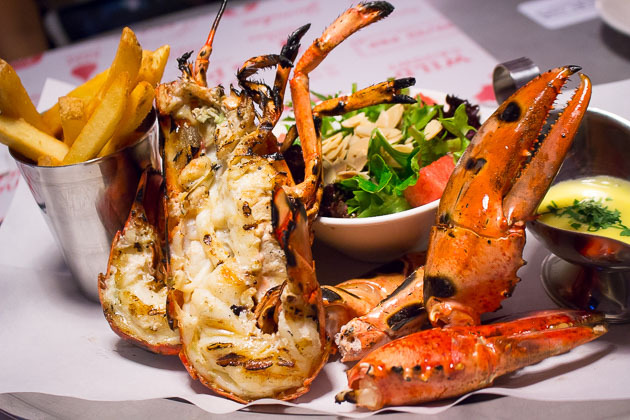 Each lobster is caught from the wild and weighing in around 600g. 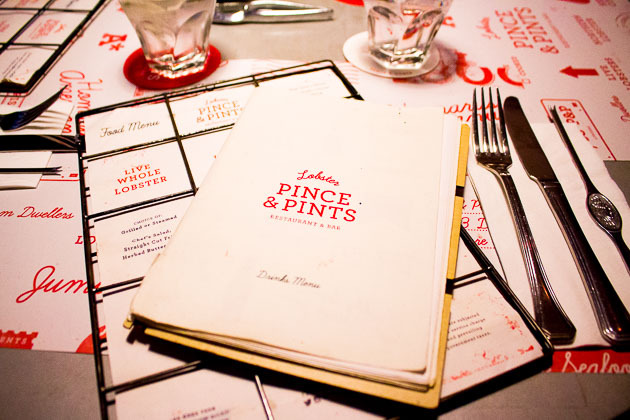 Pince & Pints prides themselves on adhering to various fishing rules and regulations created to support the health and sustainability of the lobster population (more details here). Having lived in New York City before arriving in Singapore, I have had my fair share of lobster rolls and I have to say the ones at Pince & Pints are spot on to the real thing you would find in New England, USA. The price is quite high in my opinion, however I recommend sharing a couple dishes with a group of friends. 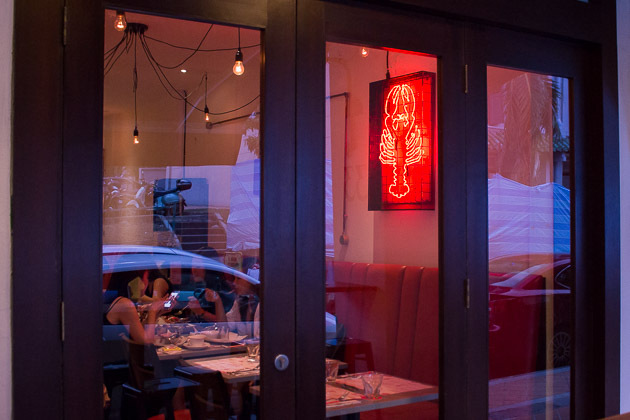 That way you are not locked in to a $58 entree and you can get a taste of more than one lobster variation. The lobster rolls are very rich and filling so don’t worry about leaving hungry. If you are not operating on a budget, I would defniently recommend treating yourself to some fresh lobster and a few brews at Pince & Pints.